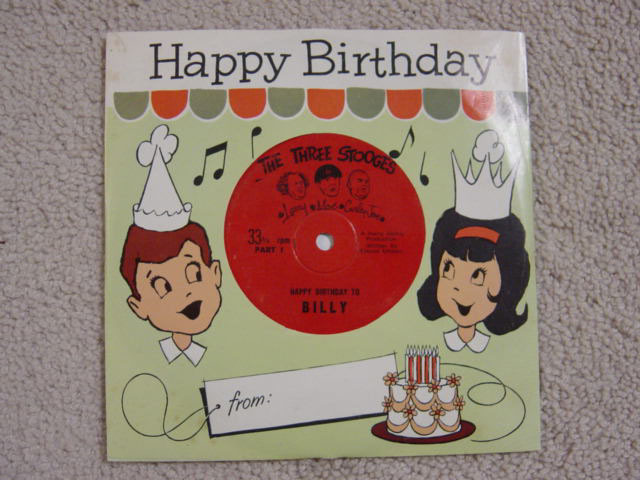 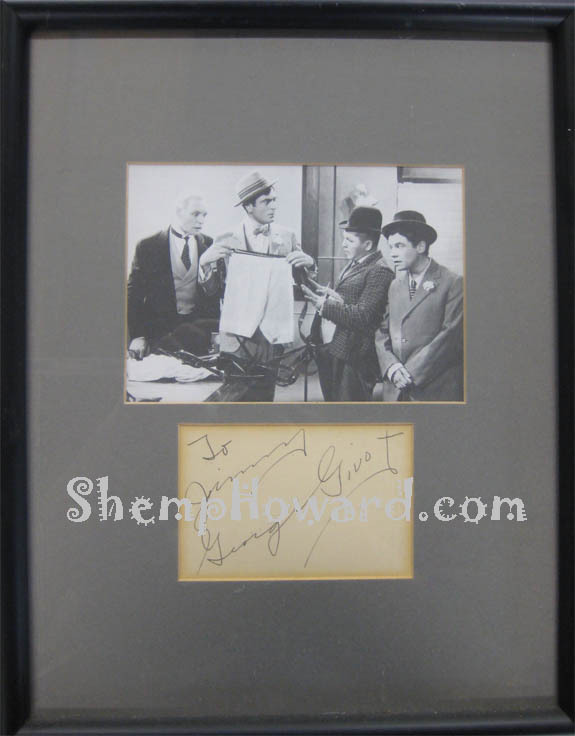 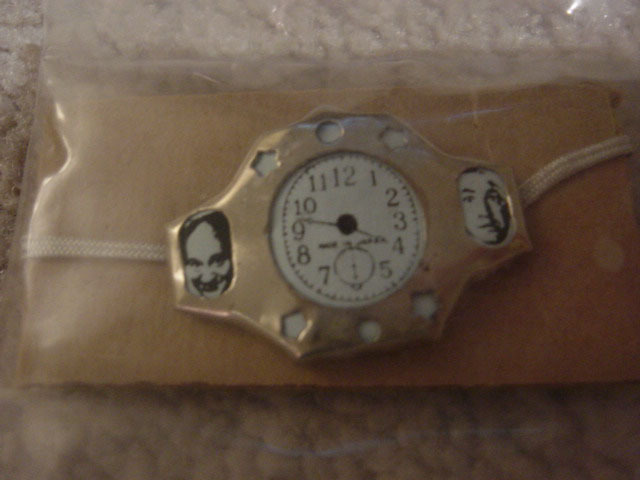 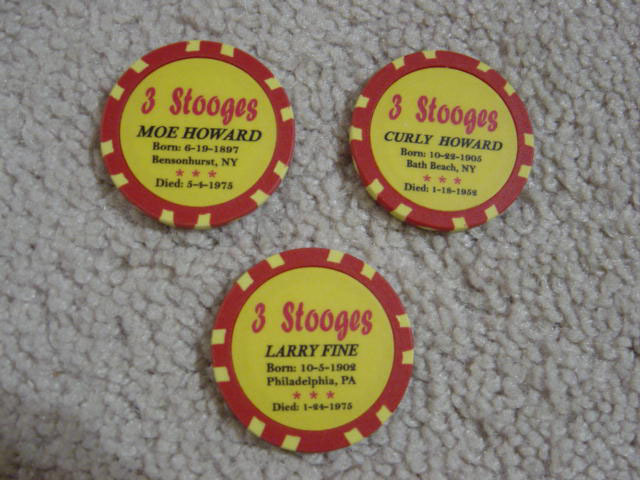 Stooge fans enjoy watching their favorite comedy trio, collectors enjoy owning a piece of the history of the Stooges. 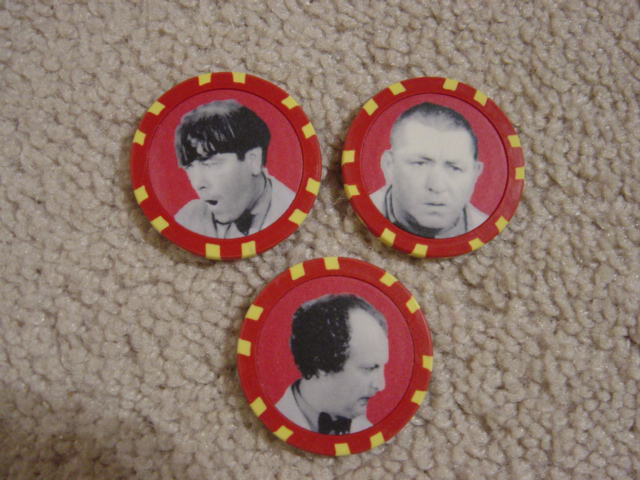 There is a wide range of areas to collect, including photos, movie posters, lobby cards, toys, comics, props, costumes, and the holy grail of collectibles - items personally owned or made by the Stooges themselves. 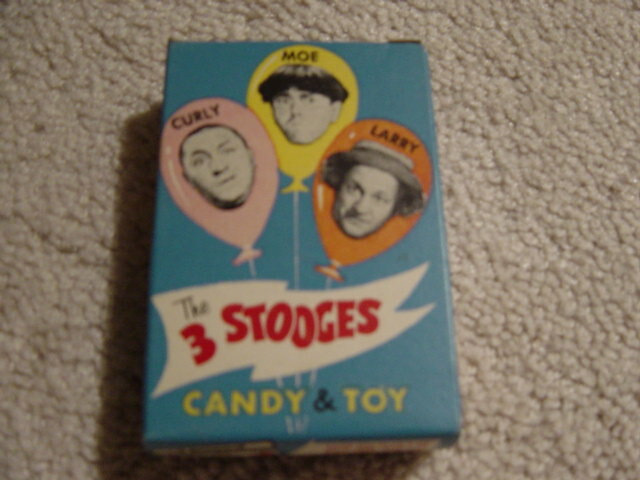 Unfortunately, there are very few collectibles items featuring Shemp, but there is no shortage of Stooges collectibles. 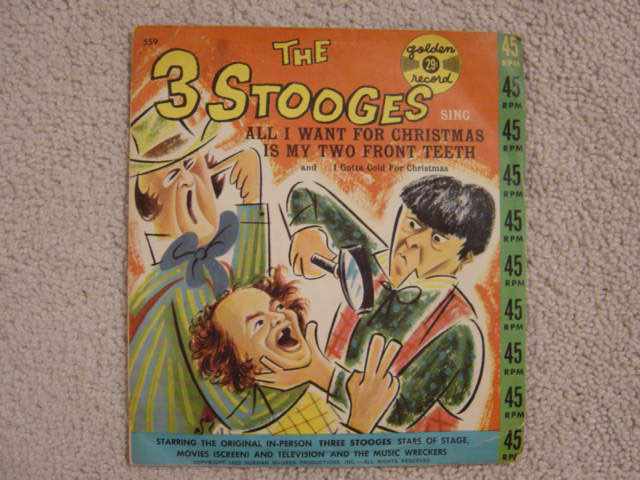 On this series of pages I will highlight a few of the non-photo, lobby or posters (you can find these items on the links above) that I enjoy collecting. 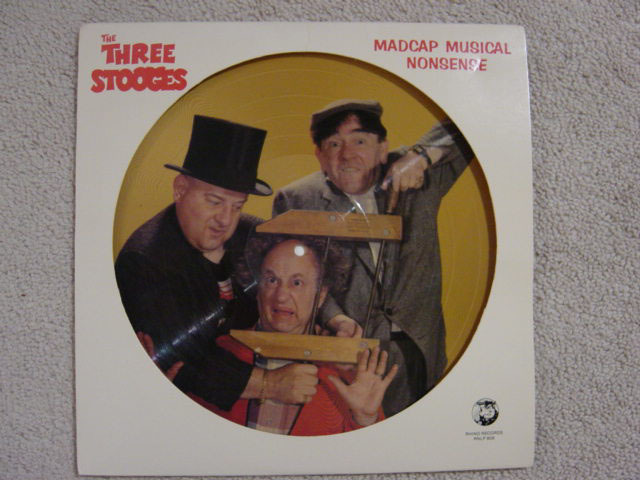 Unfortunately none of the items shown below are available for sale through this website. 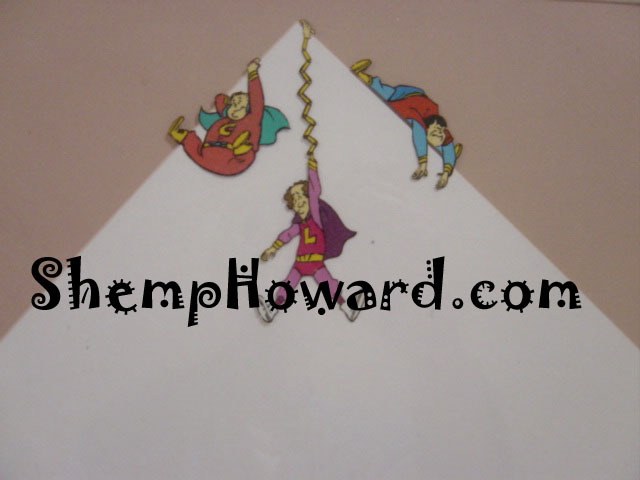 Comic books are such a large group that they have their own page. 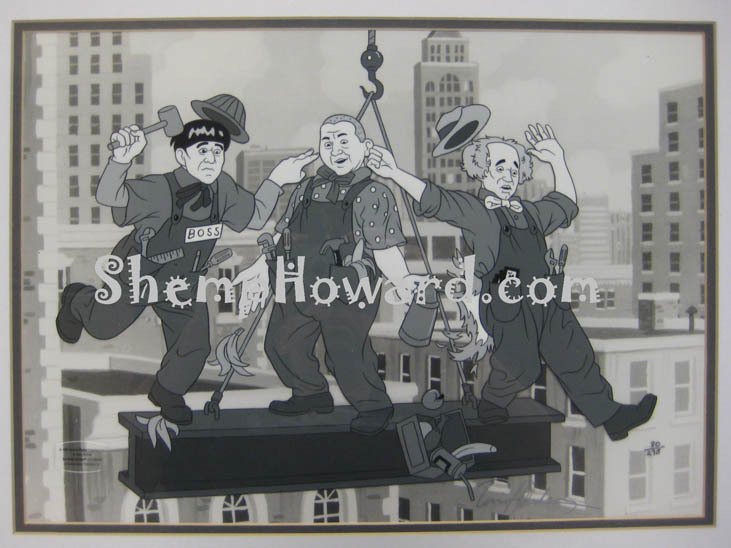 Original production animation cell from the Cambria New Three Stooges cartoon series. 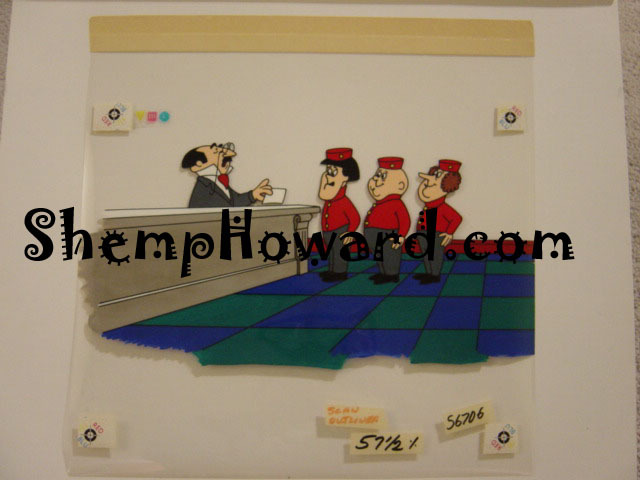 Original production animation cell from the Hanna-Barbera Robotic Stooges cartoon series. 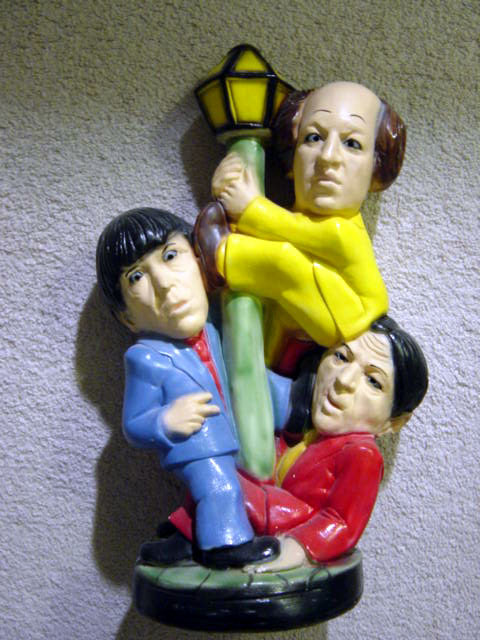 This Stooges Lamp Post Statue, was made (unlicensed) by Tuscany Studios (Chicago) in 1975. 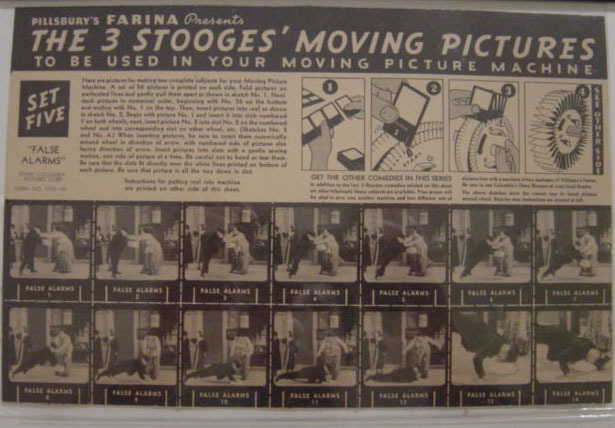 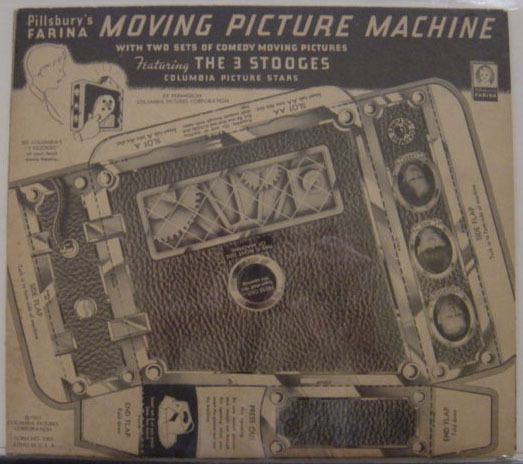 Pillsbury Moving Picture Machine "Film"
The items below are presented as examples of Stooges merchandise that has been produced throughout the years. 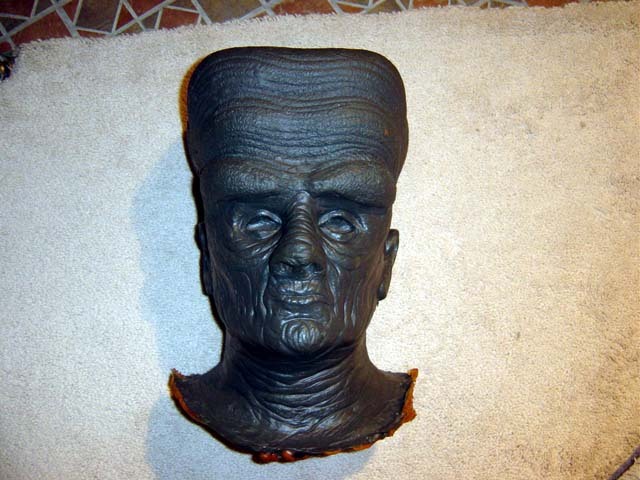 Zog mask mold from "The Three Stooges in Orbit"